At least four states in India are reeling under floods, or anticipating them, after incessant rains triggered by the much-awaited southwest monsoon. The states include Jammu and Kashmir, Gujarat, Assam and Maharashtra. Jammu and Kashmir, which is still counting losses from the floods of September 2014, is already staring at another fury. As River Jhelum crossed the danger mark at a few places, the state government sounded a flood alert on Wednesday night. This is the fourth flood alert after 2014 floods that were the worst in six decades. Residents of Srinagar and other parts of Kashmir are keeping a close watch on the Jhelum after the administration sounded a flood alert on Wednesday night. With incessant rains lashing the Valley, the Jhelum has crossed the danger mark in Anantnag and Pulwama districts. People are spending sleepless nights in Srinagar as they are worried that sudden flooding could leave them stranded in their homes, like it did during the flood in September 2014. This is the fourth flood alert issued by the administration since then. he highly-anticipated June showers have left behind a trail of destruction in Gujarat's Saurashtra region. According to news reports, around 70 people have died so far as a result of widespread floods. Amreli district is the worst affected with 26 casualties while five deaths each have been reported from Bharuch, Jamnagar, Kutch and Rajkot districts. In Amreli, 400 of 619 villages have been affected. 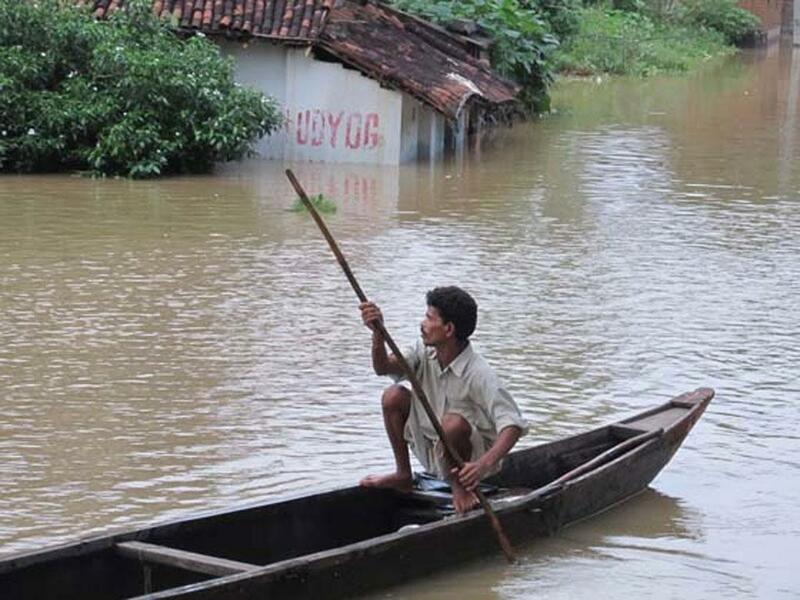 Floods that hit Assam in the first week of June have affected at least 27,000 people in more than 70 villages across the state till now. According to the State Disaster Management Authority (ASDMA), a total of about 300,000 people are facing the wrath of these floods, in 13 districts of the state.